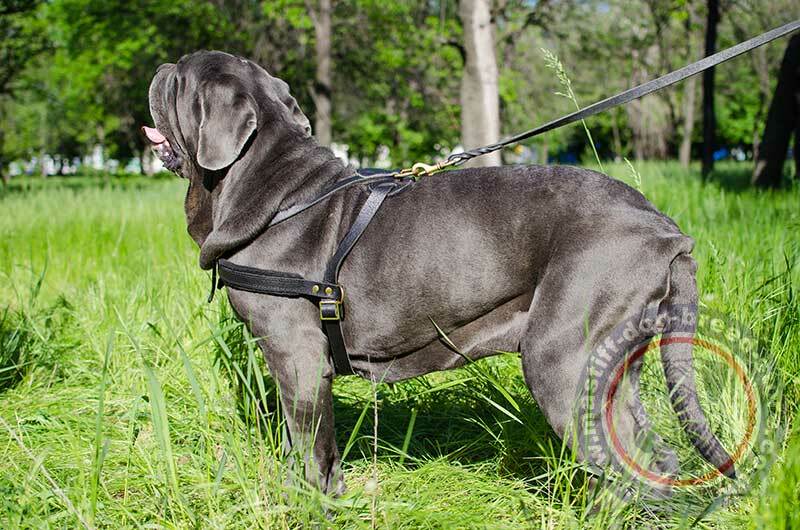 Dog harness for pulling is especially designed for comfort of your dog in weight pulling exercises of your powerful mastiff. 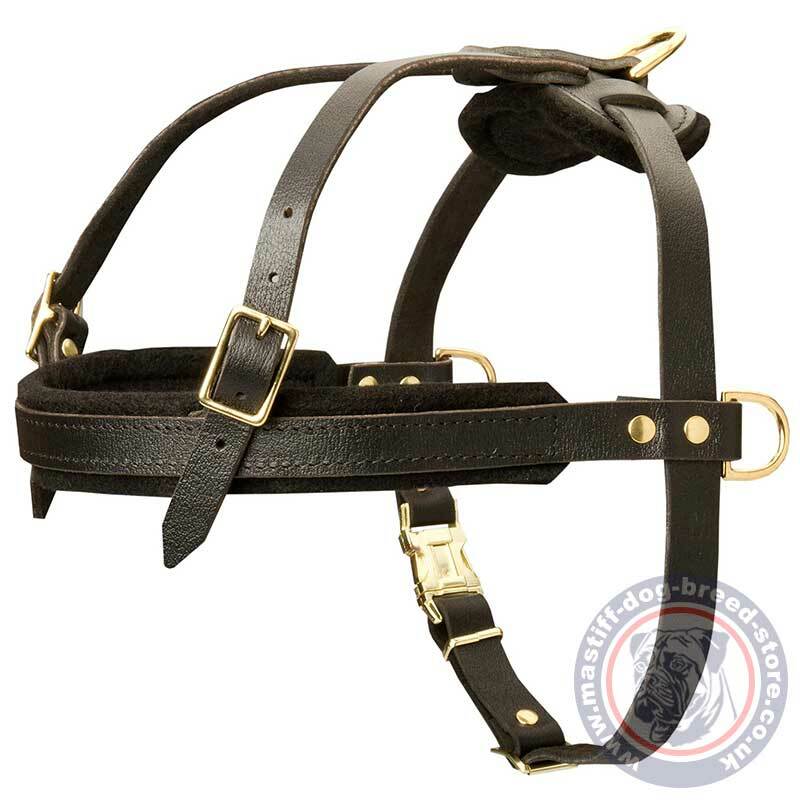 Mastiff harness is made of genuine leather, thick and strong to endure loadings of weight pulling. The special mastiff harness with front strap and cast D rings by the sides distributes the loading evenly for your dog. It will train the muscles of your dog and keep it in a perfect physical form. One more D ring at the back is intended for lead adjusting. Dog leather harness for mastiff has wide enough straps to be reliable and comfortable for dog walking, tracking, training and sport. Train the strength and physical form of your dog to keep it healthy and cheerful. Our leather dog harness for pulling will help you. Dog leather harness perfectly fits big mastiff breeds and makes them feel comfortable and help the owner to control a strong power. The leather straps are reliably fixed by safe polished, strong rivets. The girth strap is easy regulated to make it fit your dog perfectly. 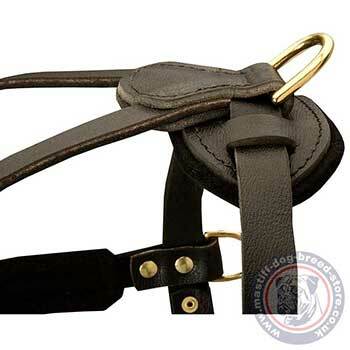 Adjust the harness once and take it on and off easily by one quick move of a quick release buckle at the side of the harness. Everything is great. The harness fits perfectly. Sincerely thank you for your service, I will recommend your shop and wish you all the best.